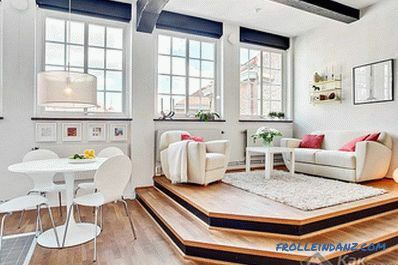 Creating a comfortable environment in the house, you can not do without sewage. Such systems have become an integral part of our life. 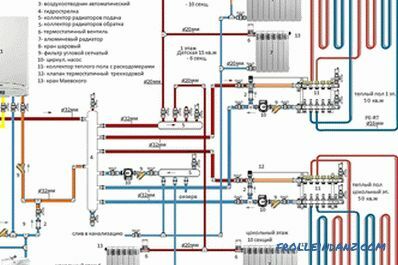 Sewerage consists of internal and external parts. In this article, we will describe how the sewer pipe is laid in the ground. Let's take a closer look at how this is done and what needs to be considered. Before you figure out how to build pipe under the ground, tell about the pipes themselves. Which of them are better suited for outdoor sewage systems? They are quite heavy and need to be worked with them with the help of technology. Cast iron is not as durable as some modern materials. In modern construction, many use plastic products. For example, pipes made of polyethylene, polypropylene and polyvinyl chloride are used for laying sewage systems. Most often use the first two options. They are quite durable (especially if they have a corrugated two-layer construction) and are relatively cheap. In addition, these pipes are not subject to corrosion and easily tolerate a long stay in an aggressive environment. When choosing pipes for sewage, it is necessary to determine their diameter. As a rule, this figure for exterior work is 110 mm. There are pipes and larger diameter, but they are rarely used in household systems. Also, various connecting and additional elements of sewerage systems are also produced from plastic. On sale you can find all kinds of couplings, elbows, adapters, etc. With their help, you can create a complex and efficient system. The technology for laying sewer pipes underground is quite simple . A trench is digging, pipes are stacked and interconnected, and a trench is buried. 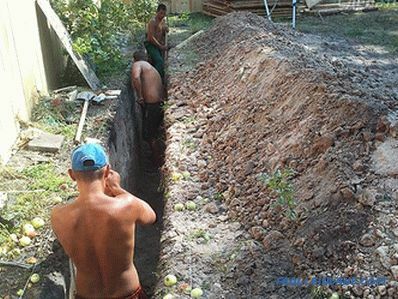 Let's get acquainted with the first stages - the preparation of the trench. 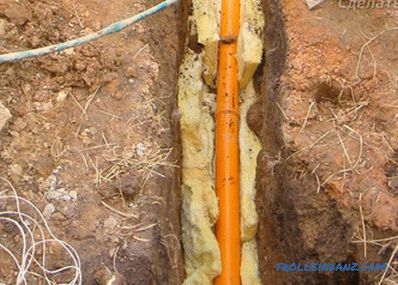 Before starting work, you should know at what depth and at what angle the pipes should be laid. According to the current SNiP, sewer systems should be installed half a meter below the ground freezing level. This indicator can be found in any construction company or using the directory. For example, if in your region in winter the ground freezes to a depth of 2 meters, then the depth of the sewer pipe should be 2.5 meters. But sometimes you can move away from this indicator. Everything will depend on the circumstances (pipe length, soil properties, etc.). The main thing is that the sewer pipe should be laid at least half a meter to the ground. 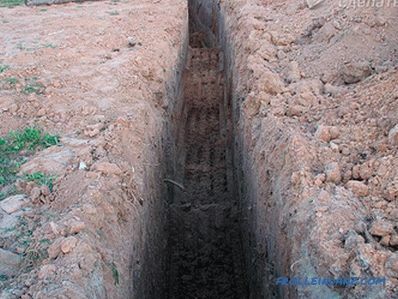 Now that you know the depth of the trench, you can start digging trenches. This can be done manually or with an excavator. At the same time, the trench width should be at least 0.6 m (when using Ø 110 mm pipe). You also need to make a reserve depth (to create a pillow). The next step is to prepare the foundation. The bottom of the trench is leveled and tilted. It is necessary that the drains flow freely to the spillway. The slope, as a rule, is 1‒2 degrees (or 1‒2 centimeters per meter of pipe). Then the bottom must be tamped down and a pillow must be created on it. Sand or gravel can be used as a material. The thickness of the pillow is 10‒15 cm. When laying it, do not forget about the slope. Two meters from the junction with the inlet pipe, the pillow must be tamped down. It is also worth to arrive two meters before installing the manhole. 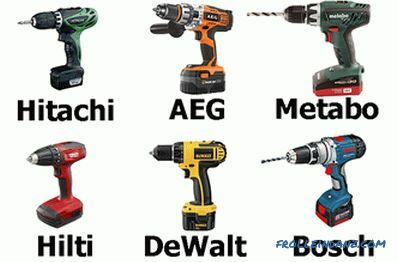 If the system provides for the installation of sockets, it is necessary to make a recess in this place. Pipes are placed in trenches. In this case, the pipe should be located at the far (in the direction of installation) end of the pipe. The straight end of one pipe and the socket of the other, are cleaned of dirt and debris. Also it is worth checking the absence of foreign objects inside the pipe. Both ends must be lubricated with a special compound that will facilitate the connection and make it more reliable (silicone or special sealant). The straight end of the pipe is inserted into the socket. Similar actions need to be done with the entire system. If turns are provided in the system, they are made using taps (they are produced with angles of 15, 30 and 45 degrees). 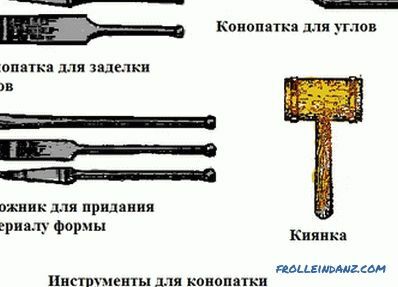 Such designs also have a flat end and socket. It is worth considering that if you have a sewer length more than 15 m, then it is advisable to make a viewing well.It will allow cleaning of blockages and significantly prolong the life of the system. 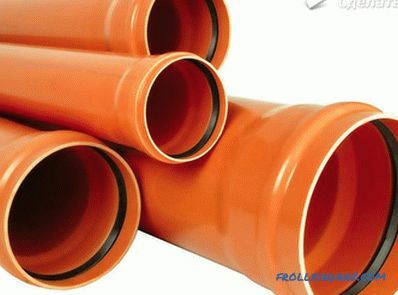 If the sewer pipes are laid above the level of soil freezing, it is necessary to warm them. To do this, you can use any material with thermal insulation properties (as long as it is not subject to rotting). It is wrapped around the entire pipe and securely fastened. Before backfilling trench is necessary to verify the correctness and sufficiency of the slope. To do this, you can simply pour a small amount of water into the system. If you did everything correctly, then you can start backfilling. 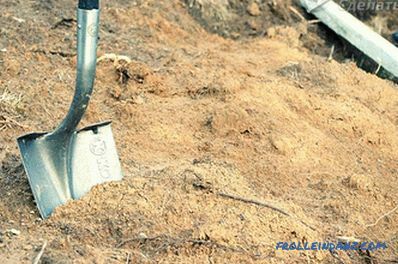 According to the SNiP, you can use the excavated soil to put the trench back to sleep, but you must follow some rules. First, there should be no large stones in the ground. Secondly, dense blocks of soil need to be broken. Inclusions larger than 30 mm can damage sewer pipes. The best option is to fill the hole with the pipe with sand, and then pour the ground, crushed and cleaned from large stones. Fill up gradually. Each layer of 5 cm must be sealed. In this case, ramming the soil above the pipe itself (up to a height of 0.3 m) is not recommended. Initially, this is done only on the sides. After the trench is filled up to a height of 30‒40 cm, it is possible to tamp over the whole area.